What is going on now with EUR/JPY? EUR/JPY: The Euro failed to continue at 128.370 in yesterdays session and fell to 128.160 support. 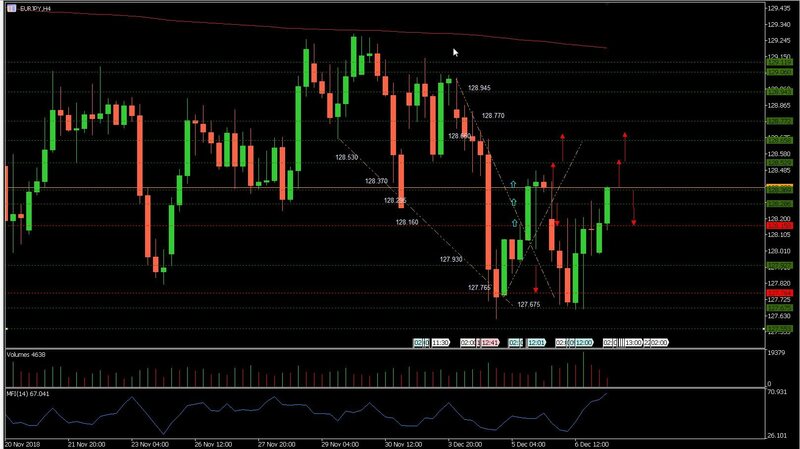 The pair attempted to recover as indicated in the 60 minutes chart below but failed and triggered a sell-off pushing prices down to 127.675 support. The sell-off took out all my estimated sell targets at 128.150, 127.930, and 1.27675. The pair recovered after finding support at 127.675 and proceeded to the upside during the overnight session. 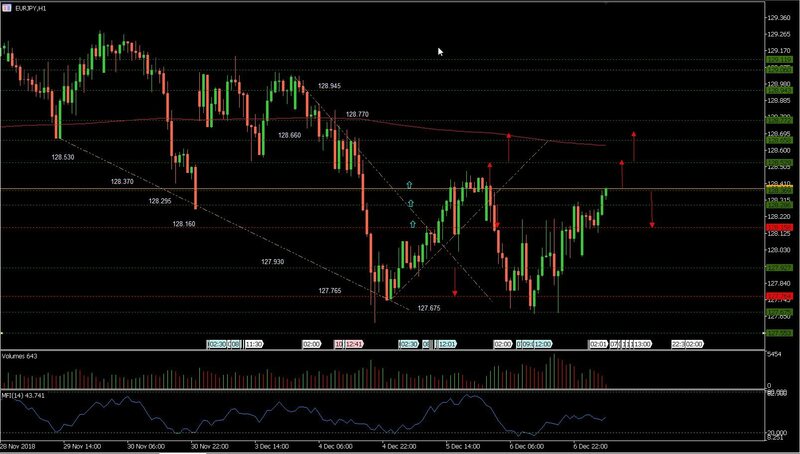 EUR/JPY: The Euro progressed strongly to the upside with a few wild swings but managed to maintain its course pushed through three major resistance price points in the last 24 hours. The pair has reached the same critical resistance point at 128.382 encountered in yesterdays session. The Euro needs to break and remain above 128.370 to continue to 128.530. Failing to continue at 128.370 could result in a pullback to 128.160 and 127.930. We explain the market movements and help guide you to possibly make the right decision on when to enter, apply stop loss to protect your capital, take profit and exit your position.